These fantastic quotes about silence will help to deepen your understanding of silence, and help you achieve some inner silence of your own! 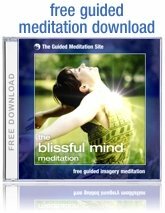 You can find even more great meditation quotes here. Death must be so beautiful. To lie in the soft brown earth, with the grasses waving above one's head, and listen to silence. To have no yesterday, and no to-morrow. To forget time, to forgive life, to be at peace. Silence is the great teacher, and to learn its lessons you must pay attention to it. There is no substitute for the creative inspiration, knowledge, and stability that come from knowing how to contact your core of inner silence. Your enlightenment is perfect only when silence has come to be a celebration. Hence my insistence that after you meditate you must celebrate. After you have been silent you must enjoy it, you must have a thanksgiving. A deep gratitude must be shown towards the whole just for the opportunity that you are, that you can meditate, that you can be silent, that you can laugh.